So, this is the new year. Which totally means it's time to develop new goals and get life back on track. There is no time like this time to sit down and think about goals - not just for the year, but a lifestyle change, a goal for forever! Some of the biggest goals go something like "I'm going to lose weight," "I'm going to eat better," or "I'm going to exercise more." The problem with goals like those is they are not specific. See, I'm a fan of SMART goals (specific, measurable, achievable, relevant, and timely). While I learned about these type of goals at work, I tend to follow this simple method with personal goals, as well. I'm pretty open about the fact that I have diabetes - I was diagnosed when I was nine years old. It's something I carry with my everyday, and when possibly, I like to share that information with others (to debunk, educate, and for my own safety, as well). Of course, there are times when it's not the appropriate time to share, but that's a whole other blog post. So, what's my big moment of yes? In 2018, I'll be saying "Yes!" to improving my health - meeting a healthy A1C goal (an average of my blood sugar levels), specifically, will let me know my diabetes is under control. Taking care of myself means living a healthier, happier lifestyle. Of course, I have other goals as well - I complete a reading challenge each year that I love; I am working on a list of 101 goals to complete with 1001 days. How will I meet my moment of yes? 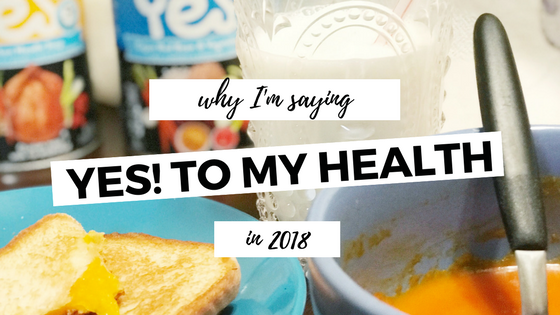 It's no secret I'm a fan of food and lounging around, and while that doesn't have to change, there are things I can be more mindful about when it comes to taking care of myself. These things include: balance, moderation, and the right choices. Balance: to find a healthier balance, I plan to incorporate things like yoga and meditation in my regular habits. While I may not practice daily, I plan to practice three to five times each week. By practicing both meditation and yoga, I can find a balance within myself - not to mention, get a great workout. Moderation: I am not the queen of moderation, but I plan to do better with it, for the sake of my health. I think when discussing moderation, it's important to note this doesn't mean elimination. I plan to moderate my portion sizes and the amount of sweets I eat. I honestly eat sweets multiple times each day, and it's got to stop. I won't restrict myself from sweets - but let's say no more than every other day. That sounds like a compromise, right? As for portions - I've got to stop upsizing or going back for multiple helpings. It's important to eat the right amount of portions. Wouldn't you agree? Choices: In addition to moderation and balance, it comes down to choices. Instead of going out to eat all the time, I should make choices that fit with my goals. That's where Well Yes!Ⓡ soups come in! 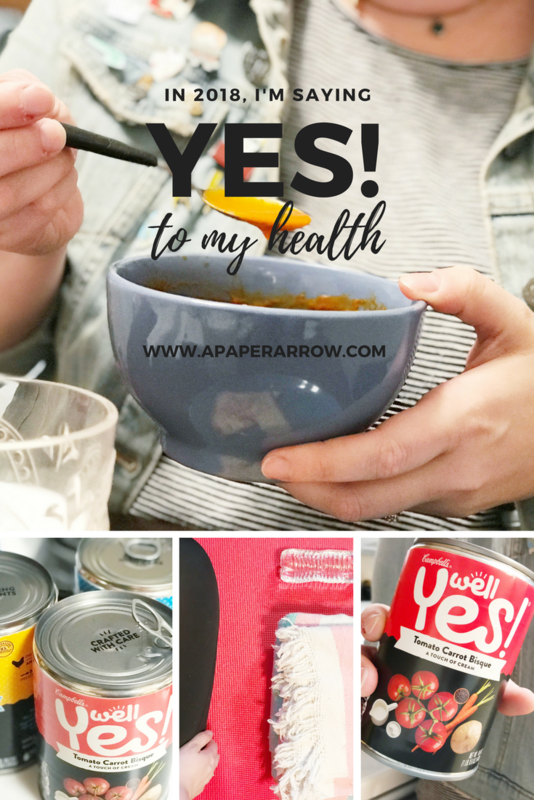 These soups align so well with my goals of balance, moderation, and making the right choices. Well Yes! are soups with unique flavors and are crafted with care and real nutritious ingredients. There are no artificial flavors or colors in the Well Yes! brand, and the soups are made with non-gmo ingredients and contain non-bpa lining. Well Yes! soups are "A Soup in the Right DirectionⓇ". What's more is you can save 25 cents off one can, or $1 off any two cans, of Well Yes! soup here. Enter the #WellYes2018 sweepstakes below for a chance to win up to a $500 VISA gift card! It's as easy as clicking, logging in, and sharing your Moment of Yes story! If you win, think of all the ways you can use the prizing to achieve your Moment of Yes! Check out more moments of yes here! You go girl! It's great that you're taking control this year. Thanks, friend! I'm certainly trying.